DESCRIPTION -- This is a souvenir mug from the P&O Line vessel the MV Aurora which is as new and one of the first designs. HISTORY -- Launched in 2001, the MS Aurora is one of the larger P&O ships, and similar in size to Oriana and Oceana. The ship cost US $375 million to build and was last refurbished in 2014. The refit in 2014 made MS Aurora the first of all PO cruise ships with the new livery for the line - the Union Jack flag. DESCRIPTION -- Glass souvenir dish from the P&O Ferries company and is in an unused as new condition with the size of the item being 6" (16cm) x 3" (8cm). HISTORY -- P&O Ferries is a British company that operates ferries from the United Kingdom to Ireland and Continental Europe (France, Belgium and the Netherlands). These were previously operated at different times as separate subsidiaries of P&O under the names Pandoro Ltd, P&O European Ferries, P&O Portsmouth, P&O North Sea Ferries, P&O Irish Sea and the joint venture P&O Stena Line. 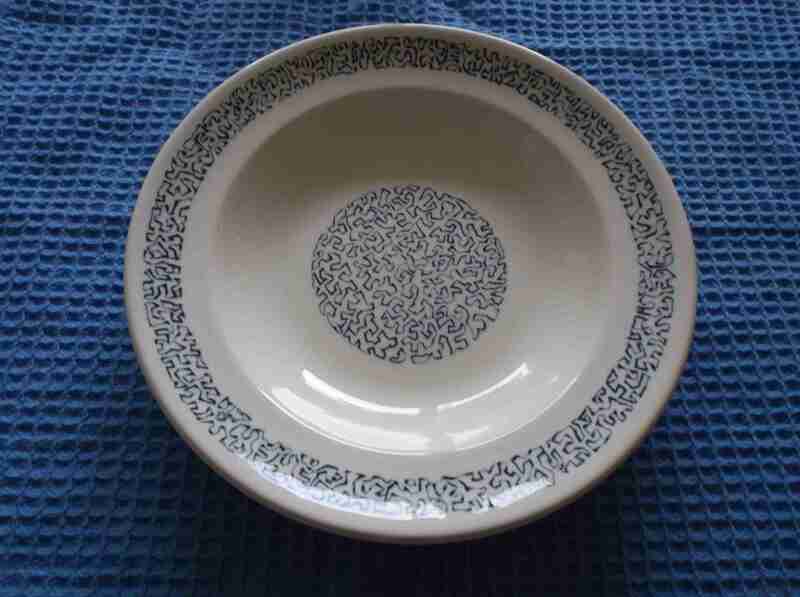 DESCRIPTION -- From the famous P&O vessel the SS Canberra this is an as used on board dining soup bowl with the size being 8" (21.5cm) wide. It has the makers mark on the bottom and is made in the traditional 'crackle' design and dates from the 1950's. very few pieces of this design are found available for sale these days. HISTORY -- A fantastic history. On 2 April 1982, Argentina invaded the Falkland Islands, which initiated the Falklands War. At the time, Canberra was cruising in the Mediterranean. The next day, her captain Dennis Scott-Masson received a message asking his time of arrival at Gibraltar, which was not on his itinerary. When he called at Gibraltar, he learnt that the Ministry of Defence had requisitioned Canberra for use as a troopship. Canberra sailed to Southampton, Hampshire where she was quickly refitted, sailing on 9 April for the South Atlantic. 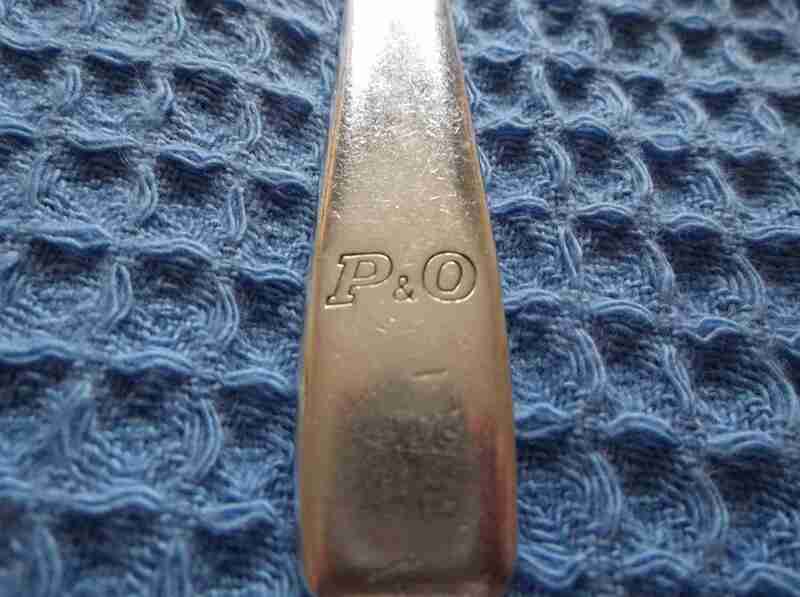 DESCRIPTION -- Early as used on board dessert spoon from the P&O Line and is in a good clean condition (click on the picture to see the P&O marking). HISTORY -- P&O (formally the Peninsular and Oriental Steam Navigation Company) was a British shipping and logistics company dating from the early 19th century. Formerly a public company, it was sold to DP World in March 2006 for 3.9 billion. DP World currently operate three P&O branded businesses, P&O Ferries, P&O Maritime and P&O Heritage. P&O Cruises was spun off from P&O in 2000, and is now owned and operated by Carnival Corporation & plc. The former shipping business, P&O Nedlloyd, was bought by and is now part of Maersk Line. 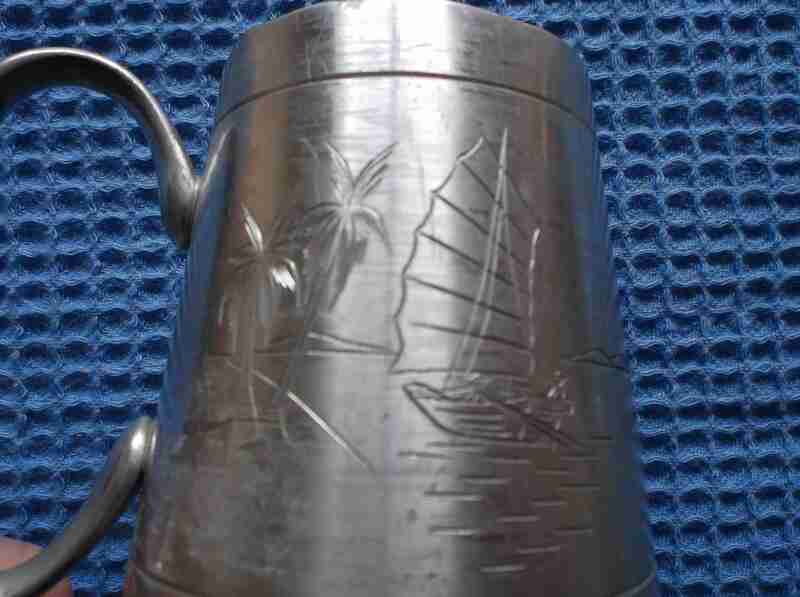 DESCRIPTION -- Superb item from the P&O Line vessel the SS Cathay and is a small pewter tankard souvenir. It is in an excellent condition and shows the name on the front and also shows the rising sun logo and fantastic inscribed pictures. 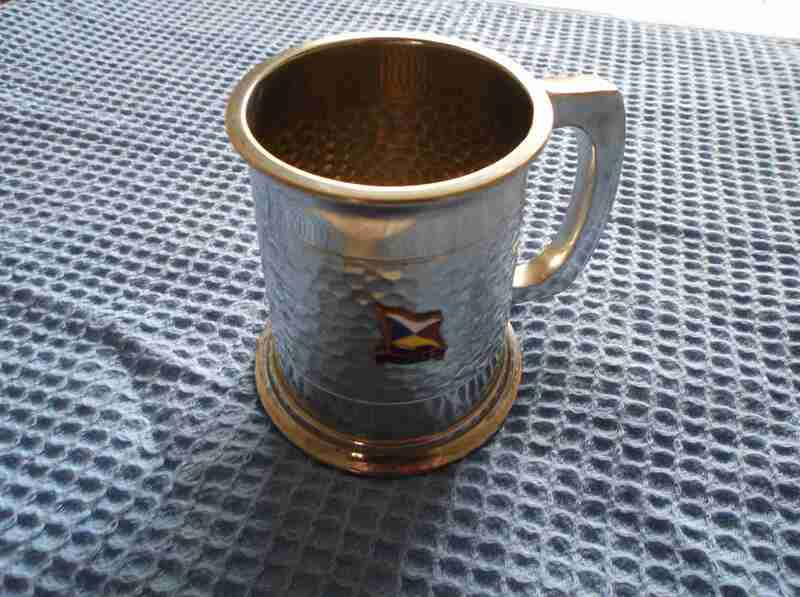 The size is 3" (9cm) and is dated circa 1960's (click on the picture for another view of the tankard and the inscribed detail). HISTORY -- The SS Cathay (1957), was completed for Compagnie Maritime Belge in 1957 as Baudouinville, withdrawn in 1960, and renamed Cathay in 1961 and operated by the P&O Line. Transferred in 1969 to P&O subsidiary Eastern & Australian Steamship Company, (E&A). Withdrawn December 1975. Eventually passed to People's Republic of China as Kengshin, later Shanghai. 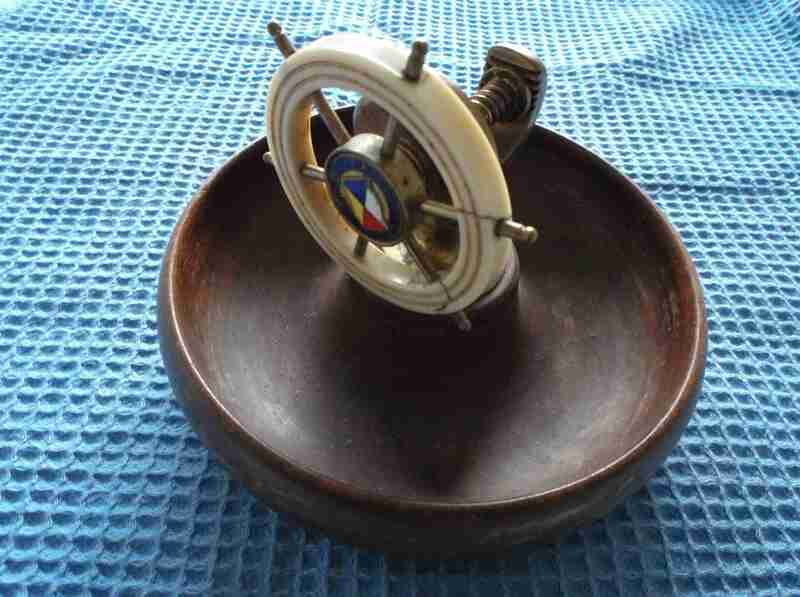 DESCRIPTION -- From the famous P&O vessel the SS Canberra this is an as used on board ships dining plate and the size is 9" (24cm) wide. It has the makers mark on the bottom and is made in the traditional 'crackle' design. The item dates from the 1950's and very very few pieces of this design are seen around nowadays for sale. HISTORY -- P&O commissioned Canberra to operate the combined P&O-Orient Line service between the United Kingdom and Australia. The arrival of the jet airliner had already caused a drop in demand for this service; a reduction in emigration to Australia and wars forcing the closure of the Suez Canal saw the route become unprofitable. However a refit in 1974 saw Canberra adapted to cruising. 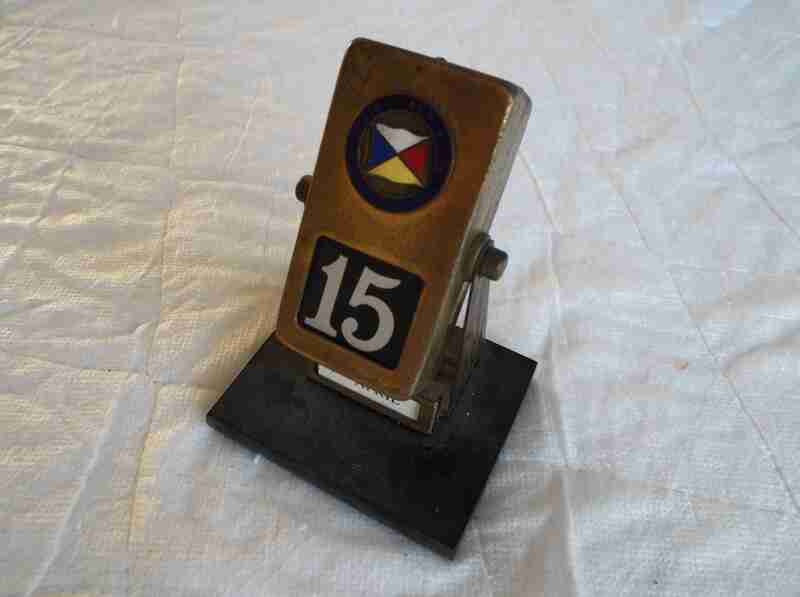 DESCRIPTION -- Fantastic item dating from the 1950's which is a souvenir nutcracker from the P&O Line vessel the SS Canton which has a wooden base and shows the company houseflag on the front. It is in a fair condition and a rare find with the size being 6" (17cm) wide. HISTORY -- The Peninsular and Oriental Steam Navigation Company (P&O Line) has a celebrated history dating back to the 1830s. It was incorporated by a Royal Charter in 1840, and its name therefore includes neither "PLC" nor "Limited". The initials "P&O" are among the most familiar anywhere, and its house flag, older even than the Company itself, is one of the best known. DESCRIPTION -- From the P&O Line vessel the SS Chusan this is a small pewter tankard souvenir which is in a fantastic condition and is dated circa 1960's. It shows the name and company houseflag on the front and also has the well-used dimple effect pattern to the tankard and the size is 3" (9cm). 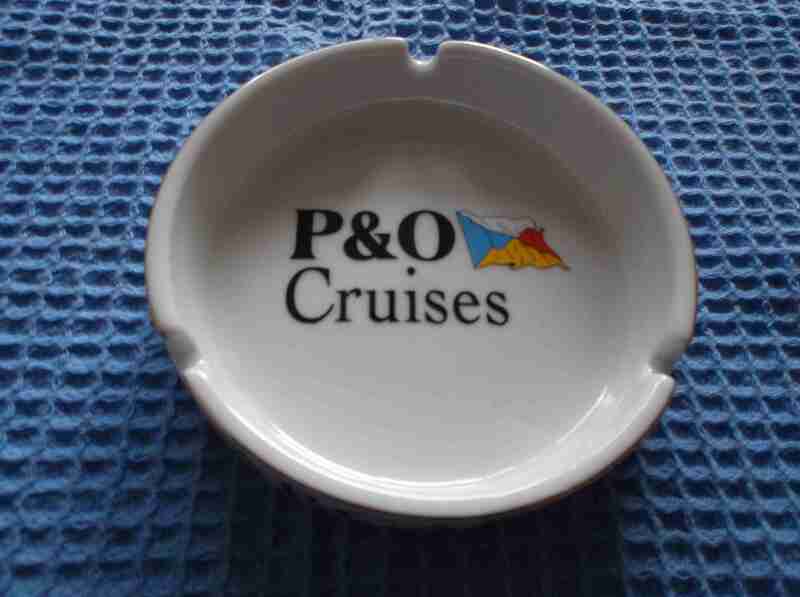 DESCRIPTION -- P&O Cruises souvenir round ashtray that shows on the front the name of the vessel Arcadia and is a later type souvenir and is 4" (11cm) wide. HISTORY -- P&O Cruises is a British/American cruise line based at Carnival House in Southampton, England, operated by Carnival UK and owned by Carnival Corporation & plc. Originally a constituent of the Peninsular and Oriental Steam Navigation Company, P&O Cruises is the oldest cruise line in the world, having operated the world's first passenger ships in the early 19th century. DESCRIPTION -- Souvenir date machine from the P&O Line vessel the SS Iberia which stands 4" (10cm) high and is in perfect working order dating from the 1950's. HISTORY -- SS Iberia was an ocean liner completed in 1954 for the Peninsular and Oriental Steam Navigation Company (P&O). Along with her fleetmates Himalaya, Arcadia and Chusan, Iberia mainly provided passenger service between the United Kingdom and Australasia.